(WASHINGTON POST) - A visit to China is unlike a visit to any other place on earth. Sojourners leave with sensory memories – the smell of star anise, the sound of old folk walking down the street singing and the open faces of Chinese babies. In a country that was closed off to the world for a long time and is changing by the minute, there won’t be too many more chances to get a glimpse of an ancient world before modernisation and growth change the scenery forever. Unfortunately, China is one of those places that make getting a visa rather daunting for the casual tourist. If you have been invited, you need an invitation letter; otherwise, you must provide confirmation of hotel booking and proof of a return flight, and sometimes much more – such as a letter from your office or a copy of a recent bank statement. For visitors from the United States (and about 50 other countries), China does not require a visa for 72-hour visits, as long as you enter and leave from the same city and prove that you have another ultimate destination. This is the perfect way to squeeze China in when you are on your way to or from Japan or Thailand – or even Guam. Why not give the China sprint a chance? There’s a lot you can do, see and eat in three days. Here are some tips for not wasting your time, getting a real sense of a great city like Beijing, and distilling as much as possible into that one brief shot. Beijing, of course, is just one possibility; any city with international connections works, so it might be fun to pop in and out of Shanghai or Shenzhen (in the south) in the same way. Here’s a game plan for the capital. It’ll help if you realise that there is no one, ever, who had a first-time visit to China without at least a few mishaps. But it’s worth the trouble. China, in general, is not easy. English is not universally spoken, directions are confusing and traffic in a city like Beijing is nuts, so consider hiring a tour guide. Bespoke Beijing, for instance, is a customised guide company that will help visitors without making them feel like they are on a giant Chinese cruise ship. However, with some moxie and a good translation app, visitors can do this on their own, especially if they are up for adventure. The Great Wall is one of the sights – like the Taj Mahal and the Grand Canyon – that must be seen in person. 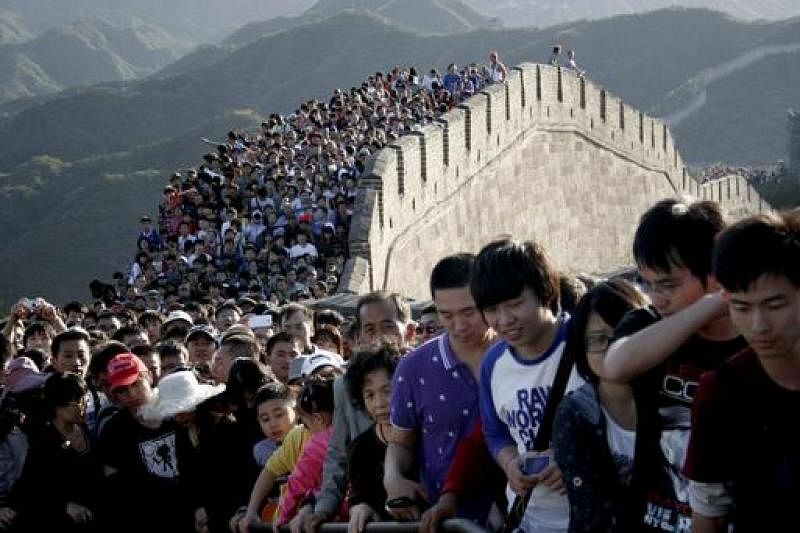 The problem is that the closest part of the wall is about an hour’s drive from Beijing, and most tour groups take visitors to Badaling, the most touristy and crowded part. Those are the people who come back and say they were underwhelmed. Don’t be that tourist. If you are relatively fit, consider planning ahead with a hiking group like Beijing Hikers, which has a separate division for Great Wall hikes and which also rates hikes by levels of difficulty from one to five. Wall hikes go from three to five. Beijing Hikers’ groups tend to comprise fewer than 20 people, English is spoken and the camaraderie of hiking one of the world’s iconic and most beautiful places means you’ll make friends fast. Of course, if you plan to hike, do bring along the right footwear, especially as many segments of the unrestored Great Wall are crumbling and a little unstable. You’ll also need to bring along your own lunch and snacks, but water is provided. Usually there’s a stop for an evening meal at the end of the day. Skip the Forbidden City. This is one instance where if you’ve seen the pictures, you’ve seen enough. The vast expanse of unshaded pavement means it’s blazing hot in the summer, bitter cold in the winter and perpetually full of shoving, screaming tourists. The buildings are mostly empty. Instead, go straight to Mao’s tomb in Tiananmen Square. It’s free – and completely unlike anything else. While you wait, you’ll have the chance to buy a pale yellow chrysanthemum for a few yuan that you can place next to the tomb to pay your respects. 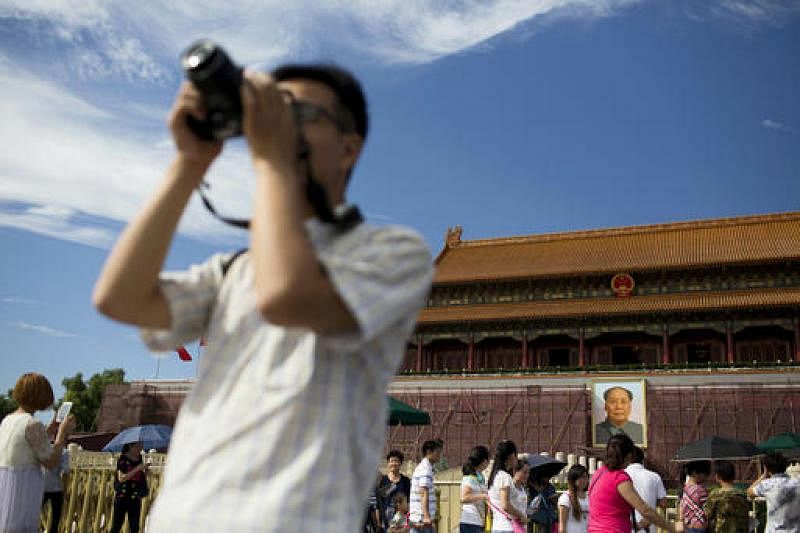 While you’re waiting, you can soak in the bizarre experience of standing in Tiananmen Square, where the Chinese tanks rolled, even though there are few references to June 4, 1989. Finally, there is the chairman himself, with about 10 seconds to pay your respects. Unless you are there on one of the holidays, the whole process should take only a few hours. Next, head to Jingshan Park, just north of the Forbidden City. There, climb to the top and look down over the roofs of the Forbidden City and – if the air pollution is not too bad – a good portion of the rest of this city of 22 million people. When you exit Jingshan, you will be just to the east of Beihai Park – one of the city’s prettiest and most interesting green spaces, a former playground of the emperor and said to be the place where Kublai Khan met Marco Polo. The park has a lake at its centre. Spend a few hours people-watching. You could encounter groups singing revolutionary songs, dragon boaters, tai-chi practitioners and dancers. Surrounding Beijing’s central lakes are some of the city’s remaining hutongs, the narrow alleyways leading to courtyard houses that once made up almost the entire old city. One of the loveliest temples in Beijing is the Temple of Heaven, also known as Tiantan Park. Built by 15th-century emperors, it’s a marvel of altars, bridges and painted ceilings. It covers about 110ha, so the sheer size of the place can be a tad overwhelming, but concentrate on the Hall of Prayer for Good Harvests, with its gables and dark blue tiles representing heaven. Next, head to nearby Panjiayuan (known by expats as the “dirt market”) for fun souvenirs. It’s called an antiques market, and while the items look old, they’re probably fake-old. Better to pick up some great art for a few dollars or costume jewellery or hand-sewn table runners. I once picked up a watercolour of old men and their birdcages for about US$18 (S$24). End the day at another temple. Lama Temple is a Tibetan Buddhist temple that is evidence of the resurgence of religious life in China. You can get a great vegetarian meal nearby, in honour of the Buddhist heritage of this place. If you’re not too worried about bucket-list items and just want an immersive experience in a short time, here is an alternative itinerary. Or play mix-and-match with the first one. See Tiananmen from above by having lunch, a drink or a cup of tea at Capital M just off Qianmen Street, a touristy shopping area. Go to the restaurant’s outdoor terrace and look out over the stunning and massive Zhengyangmen (also known as Qianmen) Gate at the south end of Tiananmen, one of the last remaining vestiges of Beijing’s ancient city walls. The hutongs off Qianmen, however, are more interesting than the tourist spots nearby. Find Lazhu Hutong and check out its street-food scene, with dozens of restaurants lining the alley offering tables inside and out. Let a Chinese-speaking companion order and don’t be afraid of a little grilled cow tongue or leg of sheep. This area is famed for its Muslim restaurants, and you’ll be rewarded with the flavours of the Silk Road – cilantro, grilled onions, cumin, cardamom, turmeric. You might also want to venture a bite of a donkey-meat sandwich – bright, red meat tucked into a small pita pocket. Head to the 798 Art District to take in what has become a small art village packed with wild contemporary art, housed in old factory buildings, many still with Cultural Revolution slogans and art visible on the walls inside. I especially loved the three stacked cages of giant, red dinosaurs on one street. It’s easy to spend a day wandering through galleries that showcase a range of modern art, boutiques with high-end fashion, pottery stores, graffiti art and some of the best sushi this side of Tokyo. The Ullens Centre for Contemporary Art has a collection of galleries and a great store where visitors can buy high-end modern art or tchotchkes such as cellphone covers. A number of cafes, restaurants, and bars have popped up in the area to serve hungry art lovers. Since most galleries and stores close in the evening – aside from the occasional evening concert or fashion show – it’s best to head back into Beijing for the last meal of the day. Find a good walking tour. The Hutong offers half-day tours that include the Summer Palace, Temple of Heaven and the city’s culinary markets. Beijing Postcards offers history-centred tours, including the history of hutongs and a crash course on the Forbidden City, often lead by the chatty and charming Danish co-founder Lars Ulrik Thom. If you insist on seeing the Forbidden City, take Beijing Postcards’ smart and slightly irreverent tour, A Crash Course To The Forbidden City, which promises to dispel boredom and describe the emperors, concubines and eunuchs who once made the place home. After all that education, have one of Beijing’s signature meals – Peking duck or dumplings. Peking duck can be found all over the city, but pick a place where you can see the dark and crispy skin of roasted ducks hanging in the window. Finish it up at Beijing’s only baijiu bar, Capital Spirits, tucked away in a hutong. Baijiu, a distilled alcohol that some say tastes like paint thinner, is an acquired taste. That’s putting it mildly. But the bragging rights from achieving a comfort level with it are worth it. Capital Spirits tries – almost successfully – to make baijiu more palatable by mixing it into some creative cocktails. You be the judge.